BANKE, Nepal, Aug 11 2014 (IPS) - Barely 100 km north of Nepal’s capital, Kathmandu, the settlement of Jure, which forms part of the village of Mankha, has become a tragic example of how the country’s poorest rural communities are the first and worst victims of natural disasters. Barely a week ago, on Aug. 2, a slope of land nearly two km long located roughly 1,350 metres above the Sunkoshi river collapsed, sweeping away over 100 households and killing some 155 people in this tiny settlement with a population of just 2,000 people. According to the Nepal Red Cross Society (NRCS), the country’s largest humanitarian agency, the death toll from last week’s disaster ranks among the worst in the history of this catastrophe-prone South Asian nation. With so many dead, and fears rising that the artificial lake – created by blockages to the river – may burst and flood surrounding villages, experts are urging the government to seriously consider mapping out hazard areas across the country and integrate the management of natural disasters into its national economic and development plans. Such a move could mean the difference between life and death for Nepal’s low-income communities, who are often forced to live in the most vulnerable areas. When disasters strike, these groups are left homeless and injured, stripped of the small plots of agricultural land on which they subsist. Steep slopes, active seismic zones, savage monsoon rains between July and September and mountainous topography make Nepal a hotbed of disasters, according to the World Bank. Over 80 percent of the country’s 27.8 million people live in rural areas, with a quarter of the population languishing below the poverty line of 1.25 dollars a day. The poorest of the poor, who largely rely on agriculture, typically live on steep slopes under the constant shadow of landslides, or in low-lying flood-prone areas, and have virtually no resources with which to bounce back after a weather-related calamity, says the United Nations Development Programme (UNDP). “In many cases, communities that live in high-risk areas tend to have higher levels of poverty and as a result, do not have the ability to relocate to safer areas,” Moira Reddick, coordinator of the Nepal Risk Reduction Consortium (NRRC), told IPS. The NRRC, a collaborative body of local and international humanitarian and development aid agencies acting in partnership with the Nepal government, have long advocated for disaster risk reduction (DRR) to be incorporated into the state’s poverty reduction strategies in order to better provide for vulnerable communities and “minimise the impact of disasters” Reddick added. “The majority of natural disaster victims have always been [from] the poorest communities and the tragic incident in Jure is an unfortunate reminder of that fact,” Pitamber Aryal, national programme manager of the U.N.’s Comprehensive Disaster Risk Management Programme in Nepal, told IPS. In the last three decades, landslides have resulted in 4,511 fatalities and flattened 18,414 houses, affecting 555,000 people, according to official data. •	Nepal faces several types of natural disasters every year, the most prominent being floods including glacial lake outburst flooding (GloFs), drought, landslides, wildfires and earthquakes. •	Nepal ranks 11th in the world in terms of vulnerability to earthquakes and 30th in terms of flood risks. •	There are more than 6,000 rivers and streams in Nepal. On reaching the plains, these fast-flowing rivers often overflow causing widespread flooding across the Terai region as well as flooding areas in India further downstream. •	Another potential hazard is Glacial lake outburst Flooding (GloF). In Nepal, a total of 159 glacial lakes have been found in the Koshi basin and 229 in the Tibetan Arun basin. Of these, 24 have been identified as potentially dangerous and could trigger a GloF event. •	Out of 21 cities around the world that lie in similar seismic hazard zones, Kathmandu city is at the highest risk in terms of impact on people. Studies conducted indicate that the next big earthquake is estimated to cause at least 40,000 deaths, 95,000 injuries and would leave approximately 600,000 – 900,000 people homeless in Kathmandu. With little help from the government, civil society is struggling to provide necessary services to the affected population. Dinanath Sharma, DRR coordinator for the international NGO Practical Action, told IPS that his organisation has made several attempts to move communities to safer locations, but their efforts are thwarted by the lack of a comprehensive relocation plan that offers both secure residence and economic viability. “We will not move anywhere unless the government finds us a place that is fertile and good for our livelihoods,” a Muslim farmer from the remote Habrahawa villagein the Banke district, 600 km southwest of the capital, told IPS. This simple demand is heard often throughout Nepal’s numerous villages, particularly in those that sit on the banks of the Rapti River, one of the largest in the country that has been the source of major flooding over the past decade. Although floods have affected over 3.6 million people in the last decade alone, according to the government’s National Disaster Report for 2013, villagers continue to return to their ancestral homes where they at least have access to fertile land and water, which enables them to eke out a living. “Where can we go really? How can we abandon our homes here and go to a new place where there is no fertile land?” Chitan Khan, a farmer from the Khalemasaha village, also in the Banke district, told IPS. Several families told IPS they sometimes temporarily relocate to villages far from the river during the monsoon season, but always return when the rain subsides. Khan is already stockpiling food in a safer place, but he is resigned to the fact that the annual floods will wash away half his food stores in the village. According to the ministry of home affairs, floods and landslide cause 300 deaths and economic damages of about three million dollars annually – adding to an already precarious situation in Nepal, where an estimated 3.5 million people are food insecure, according to the United Nations Food and Agriculture Organisation (FAO). For those familiar with Nepal’s vulnerabilities, the government’s unwillingness to establish comprehensive DRR programmes is nothing short of baffling. The International Centre for Integrated Mountain Development (ICIMOD), for instance, has been studying and analysing the fragile mountain ecosystem across the Himalayas in Asia’s central, south and eastern regions for the last 30 years. 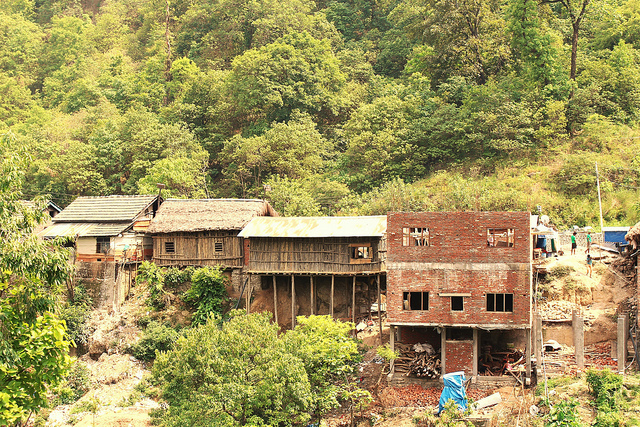 One of its observations included the Sunkoshi Valley’s vulnerability to water-induced hazards due to a weak geological formation and steep topography, made worse by frequent and heavy rainfall. The lack of an appropriate monitoring and early-warning system, however, resulted in a tragedy on Aug. 2 that could easily have been avoided, experts say. In response, the government has created a high-level committee to seek solutions for longer-term disaster preparedness, said officials. “There is definitely serious discussion now on how to reduce vulnerability of [poor] communities and the only way to do that is to relocate them with a comprehensive economic programme,” Rishi Ram Sharma, director general of the Department of Hydrology and Meteorology (DHM), told IPS. To ensure the safety of villagers, the government must create intensive geological studies to map the dangerous areas, which could also help to also identify the safest places to relocate whole villages, explained Sharma, who now heads the newly created disaster preparedness committee. Local aid workers told IPS the government’s emergency response, coordinated through the army and police force under the supervision of the home ministry, was efficient but that rescue workers faced challenges in reaching remote villages due to a combination of difficult terrain and heavy rainfall. 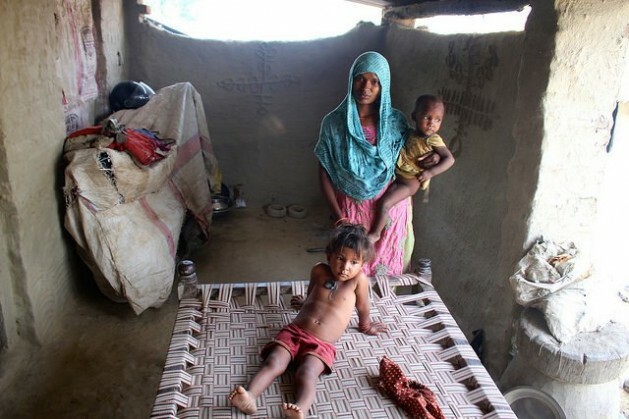 Thanks for reporting about the poorest of the poor Naresh.